Did you know that 10-30% of people with psoriasis also suffer from psoriatic arthritis? This is typically caused by inflammation throughout the body. But psoriatic arthritis isn’t the only condition psoriasis is linked to. More and more research is indicating that if you have psoriasis, you’re also at an increased risk of cardiovascular disease. So if you have psoriasis, it’s vital you take care of your heart. Here are some treatments to consider that will help save your heart and treat your psoriasis. You may know that psoriasis is an inflammatory condition. Excess inflammation can cause the immune system to improperly trigger the skin to create new cells. 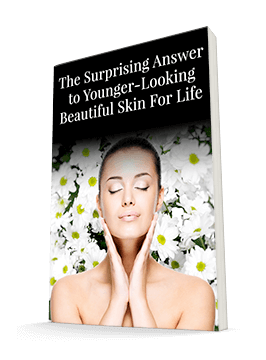 Your skin cells should turn over one to three times per month. But psoriasis sufferers grow new skin cells as often as every three days. That’s faster than your skin can shed the “old” cells. Too many cells leads to scaly plaques. A number of studies have indicated that people with psoriasis have a greater chance of dying from CVD than the general population. In fact, CVD is the leading cause of death in patients with psoriatic arthritis. An extensive review study published in 2018 linked psoriasis to an increase in a number of cardiovascular risk factors. The researchers also showed that a positive link exists between psoriasis and cardiovascular events. Cardiovascular disease is a significant problem. Heart disease and stroke are leading causes of death and disability worldwide. Every year, 786,000 Americans die from CVD, including deaths due to coronary heart disease, stroke, and rheumatic heart disease. Rates of CVD are climbing as well, challenging doctors and researchers to identify causes and solutions. Of course, issues like hypertension, high cholesterol, and smoking are big contributors. And blood pressure and cholesterol rates seem to be on the rise. In fact, 49% of Americans have at least one of these three issues. People with psoriasis need to be mindful of these risk factors and others. Research has specifically linked the skin condition to CVD risk factors, including obesity, hypertension, diabetes, and dyslipidemia. At the root of both CVD and psoriasis is inflammation. Inflammation triggers the autoimmune response that causes the skin to make excess cells. And inflammation in the blood vessels causes dangerous blockages that can lead to heart attacks and stroke. In some cases, genes play a major role in this inflammation. But environmental factors and lifestyle choices can have significant effects too. Getting familiar with these factors can help you protect your skin and your heart. And it’s important to know what factors you’re more susceptible to if you have psoriasis. For example, one study of 159 patients with psoriasis found that they were much more likely than the control population to have high cholesterol. In fact, over a third (37%) of the psoriasis patients had LDL (bad) cholesterol levels that exceeded heart-health targets. Of course, some common cholesterol medications can actually make plaques worse. So you’ll want to start with lifestyle changes to control your cholesterol. I’ll have more on those below. Research has also linked more “non-traditional” CVD risk factors to psoriasis. Because of the immune system’s role in both diseases, stress, viral infections or even common diseases like strep throat can overtax your resources and leave you more vulnerable to inflammation and CVD. Even a lack of sunlight and certain medications can up your risk. So make sure you’re getting adequate vitamin D. And talk to your doctors (heart and skin) if you’re concerned about the side effects of any of your medications. If you want to protect your health, start by following “Life’s Simple 7.” The American Heart Association geared these guidelines toward reducing CVD risk. But the good news is many of these steps reduce inflammation and support your immune system. So they’ll help your skin too. One, keep your blood pressure under control. Inflammation can increase your blood pressure. So if you’re already prone to an inflammatory condition like psoriasis, you need to be extra vigilant. Two, watch your cholesterol. High levels of LDL cholesterol can clog up your arteries. And if your arteries are already inflamed, they’ll be easier to block. So you want to make sure your cholesterol doesn’t start creeping up. Three, reduce your blood sugar. Blood sugar is a major driver of inflammation. If you’re diabetic or pre-diabetic, you should take action immediately to control your blood sugar. Psoriasis patients have an increased risk of diabetes, which in turn drives CVD risk. Four, start exercising. Exercise is a great way to improve your immune system. And it can help with several of the other “Simple 7,” including blood sugar. Five, eat a healthy diet. Once again, this can help with several of the other factors. Your diet plays a major role in your inflammation levels. You can either eat sugary, fatty foods that make inflammation skyrocket. Or you can eat antioxidant-rich foods that decrease inflammation, give you energy to exercise, and contribute to glowing skin. Six, lose weight. If you’re doing the other steps, this will likely happen naturally. But since psoriasis patients are more prone to obesity (yet another CVD risk factor), you’ll definitely want to keep an eye on the scale. Seven, stop smoking. Hopefully this is an easy one because you either never started or you quit years ago. Few things are worse for your inflammation levels and immune function than all the toxins in cigarettes. It can be frustrating to hear that having one condition puts you at increased risk of another. But it’s important to have the information you need to reduce your risk before you have a major health scare. And knowing that your healthy habits can go more than skin deep to improve your quality of life can be extra motivating. These steps will also help you if you’re trying to get off a medication that’s making your psoriasis worse. Just make sure you do that with a doctor’s supervision. If your heart numbers look good, you may want to give extra attention to your skin. One way to promote a healthier immune response in the skin is by ensuring you have the right balance of fatty acids. Essential fatty acids are a key component of the skin. The skin needs both omega-6 and omega-3 fatty acids to ensure it can make signaling molecules. These molecules help govern the skin’s response to inflammation. The dermis uses omega-6 fatty acids to make a chemical messenger called 15-HETE. This messenger is anti-inflammatory. Plus, it blocks the production of 12-HETE, a pro-inflammatory messenger. 12-HETE contributes to psoriasis. Exposure to an inflammatory trigger (such as UV radiation) tells the skin to make pro-inflammatory messengers. The skin needs to have plenty of essential fatty acids in reserve to clean up the mess. Several studies have found that taking omega-3 supplements in the form of fish oil increases the skin’s resistance to sunburn. The skin seems to be better able to handle inflammatory triggers when it has a good supply of essential fatty acids. So if you have an inflammation-driven disease like psoriasis, you’ll want to make sure you’re constantly replenishing your fatty acid stores. Some studies indicate that applying essential fatty acids topically can help too, particularly if you’re suffering from scaly skin. Olive oil and sunflower seed oil both seem to help. If you’d prefer to take an oral supplement, focus on omega-3 fatty acids from fish or flaxseed. Most of us get plenty of omega-6 oils in our diets already. Finally, you’ll want to be sure to pair your essential fatty acids with antioxidants. Fatty acids are quite vulnerable to oxidative stress. And where there’s inflammation, you need antioxidants. Fighting psoriasis can be tough. But taking steps to fight inflammation from the inside out and the outside in can decrease the severity. And these steps will help protect your heart as well. So you’ll be able to stay away from two doctors for the lifestyle “price” of one!